Our Sail inventory is growing on a daily basis. From brand new Marlow Hunter sails to a large variety of sails. We have main sails for boats as small as 14 feet to main sails for 50 footers. 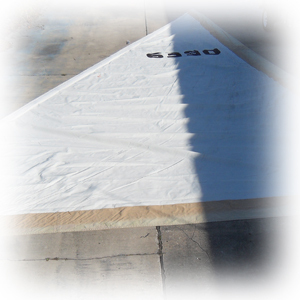 We carry a wide array of head sails from hanked on sails to roller furling genoas. Our spinnaker inventory ranges from small boats to large boats with both asymmetrical to symmetrical sails available. Whether it is a gently used mainsail for a j-Boat or a need to carry a backup sail for emergency take a look. Our line inventory varies from standard 3 strand nylon to high tech dynemma and spectra. We can supply you with sta-set x for a low stretch halyard to endura braid or sta-set for your sheets and areas where a minor amount of stretch is acceptable. We carry only New England rope and fantastic prices. 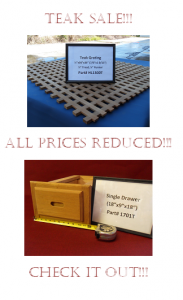 Our Sunbrella inventory is quite extensive at prices that can’t be beat. We carry both solid colors and striped Sunbrella for all your canvas needs. Whether it’s to replace an awning or construct a new Stac-pac. 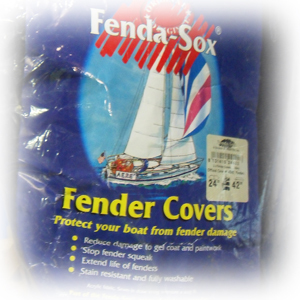 We also have in stock flybidge enclosures for some Bayliner, Maxum, Sea Ray boats. Call us to see what we currently have in stock.